Whether it's refusing to answer difficult questions or a heartless commitment to trashing Charlie DeFino, when all else failed, in an unexplained push to take over the Youth Center, the Roosevelt Island Operating Corporation shows itself not just unworthy, but dangerously aggressive, unconcerned about respect or fair play. Controlled by Governor Andrew Cuomo by way of an elaborate political apparatus designed to reward loyalists, RIOC must go before it inflicts more damage on a relatively powerless community. The resignations of both Margie Smith and Fay Christian from the Board makes action even more urgent. After years of struggle, Roosevelt Islanders finally won the right to control RIOC's Board in 2002. New law made it mandatory that five of its seven public Board Members be local residents. Two other seats are ex officio, that is, always held by the heads of the State's Budget Department and the Commissioner of Homes and Community Renewal. In its current incarnation, the ex officio seats are filled by surrogates. Although this appears to give residents, at worst, a majority on the Board, Andrew Cuomo, elected governor in 2010, wasted little time undermining the intent of the law. Passionately undemocratic, Cuomo first kicked popularly elected Jonathan Kalkin off the Board in favor of Sal Ferrara, a non-resident subsequently disappeared after a scandal with no explanation given. Cuomo did not welcome Kalkin back - or anyone else. The seat's been vacant since Ferrara's exit. When Dr. Katherine Grimm resigned after years of voluntary service, in 2016, Cuomo left that seat vacant too. Suddenly, those ex officio seats, both devoted to whatever the Governor wants and always voting in unison to form an Albany power block, own more clout. But there's something else that's not as readily apparent. All five resident Board Members have stayed on after their four year appointments expired. None are secure. On a whim or because someone is owed a favor, as with Kalkin, Cuomo can replace any of them without notice or reason. The chilling effect of insecurity plays a role in the Board's approving budgets that feature lavish spending, executive appointments of individuals unqualified for positions they'll hold, and questionable giveaways of public funds. The Board also fails to call executive staff to account for failed oversight of real estate developers under contract and for bidding practices that set off alarms about bid rigging. To be sure, neither RIOC nor State agencies beholden to Cuomo recognize a need to explain or conduct investigations that might as likely clear misconduct charges as confirm them. They really, it seems, don't care what you or I think. The bottom line is, Governor Cuomo through RIOC, an agency he controls without limits, consistently shouts back his unconcern and disrespect for Roosevelt Island and our values. RIOC must go and not just because of Cuomo's and his surrogate's bad behavior, but because recent events expose our vulnerability to outsiders manipulating Island resources for personal gain. Not long ago, Governor George Pataki (Whacky Pataki) was just as bad, appointing Jerome Blue, perhaps even less qualified than current President Susan Rosenthal, to run RIOC, inviting disaster and damaging community relations. Both parties show their disregard for Roosevelt Island's values, future and history. Give us home rule or give us back to the City. Neither could be worse than what we have now. When the Public Service Commission agreed to Starrett's request to sub meter electricity in Manhattan Park while the complex was under construction in 1989, standards were demanded to protect tenants from abuse. They were agreed to by Starrett and incorporated in its ground lease with RIOC, then led by former Democratic State Assembly Member Jean Lerman. It's important to understand what sub metering actually is. It's much more than a simple metering and billing process. The simple version is that sub metering allows landlords to monitor your electric usage with their own installed meters. More impact sneaks under the radar. First, permission to sub meter creates the landlord (Starrett/Grenadier/Manhattan Park) as a public utility, a business separate from its real estate practice with separate regulations. Specific rules protect tenants and are overseen by the Public Service Commission. Less understood, but more dangerous is that, by gaining the right to charge tenants directly for electricity, a landlord, relieved of any incentive to manage usage conscientiously, can breathe easy. After all, they're charging the tenants now, not dealing with expenses themselves. The landlord is essentially off the hook. In its pitch to sub meter Manhattan Park, Starrett boasted that, by buying bulk electricity and reselling it to tenants (at no profit), they'd save lucky end users 40% over what they'd pay on their own. We, of course, now know that this is far from the truth, but it gets worse. To protect tenants, since sub metering carried with it a reputation for abuse by landlords and, in fact, had once been banned, PSC demanded several things of Starrett. As a protection for people living in Manhattan Park, Starrett agreed to establish a grievance procedure. Specific steps in it included escalation to third party arbitration if disputes weren't settled between tenants and property managers. That was supposed to happen over 25 years ago. Additionally, Starrett pledged to work closely with tenants to educate them in controlling electric usage and expense. A key contribution would be detailed instructions in Welcome Kits supplied each new tenant. Seen one? We have, but not since 1992. Neither of those controls to help tenants ever came into play. They, among others, were incorporated in Starrett's ground lease with RIOC, but as we found out later, both RIOC and Starrett ignored the PSC demanded clauses from Day One. In fact, it wasn't until 20 years later that research turned up copies of the lease and grievance procedures that tenants finally learned about protections denied for decades. Under Cuomo's control, RIOC refused to budge, even after the facts were known, and Starrett, a politically connected real estate developer, continued its behavior, unchecked. What makes this incident so galling and suggestive of corruption and back room dealing is that a Freedom of Information request later showed that RIOC President Rosenthal lied to Eric Rivera, a representative from State Senator José Serrano's office, to trivialize residents concerns while masking her own involvement. Recovered emails also evidenced her playing footsie with Manhattan Park's managers and partners behind closed doors. That's bad enough, but worse is the failure of a single elected representative to react once informed. Not Rebecca Seawright, not Ben Kallos, not even Serrano himself had the spine to taken on Cuomo's appointed representative. RIOC is without effective control or oversight. It may not be much more than a financial feeding trough for Cuomo loyalists. Until crushed by off-island operatives aligned with the Governor, the Roosevelt Island Youth Program offered an invaluable service to local kids for 40 years. It's popularity and that of its Executive Director Charlie DeFino was demonstrated by hundreds of emails and dozens of appeals to RIOC's Board as the State agency chugged inexorably toward its goal of killing a local institution with little regard for community sentiment. The way slaughter was conducted should spur a formal, transparent investigation, but RIOC is never transparent. And run by Cuomo operatives, oversight agencies that should step in failed to do so. It's as if RIOC believes it can do its will, and nothing's powerful enough to to get in the way. After its efforts to help local kids on an isolated island, supported by funds from both the City and RIOC since the 1970s, RIYP was forced by RIOC to bid competitively for its existence in 2016. No convincing reason was put forward by RIOC as to why a bid was suddenly necessary, but numerous sources point to behind the scenes finagling by a sitting Board Member, his pastor (who'd been criticized for proselytizing on the playing fields while volunteering for the Youth Program), PS/IS 217's PTA and Principal as well as an elected official who benefited from illegal fundraising activity by the PTA. Sleazy as all that is, RIYP battled two opponents, a newcomer, the Roosevelt Island Center for Community Development (headed by the pastor accused of recruiting converts while coaching) and Island Kids, a venerable Island program with no experience in operating a Youth Center. No operation comparable to RIYP answered RIOC's call for bidders. It should've ended right there with a sole source designation, but it didn't. Bids were received by RIOC in the fall of 2016. After a first round of scoring, only Island Kids and RIYP met the minimum requirement for continuing into the next and final round. RICCD was allowed to continue anyway with RIOC "rounding" their score upward, violating their own rules. In the final round, RICCD was eliminated, but RIOC announced a tie between Island Kids and the Youth Program. Further review would determine which got the award. But as is too often the case with RIOC, something funny happened. Then, blaming a barrage of antagonistic emails as a cause, RIOC abruptly cancelled the entire bid, declaring they'd start over. Nowhere in state law is there an allowance for cancelling an otherwise legal bid procedure just because losers are unhappy. Again, the contest should have been over, with RIYP winning, and going on to serve local kids as before. It wasn't. Digging further, Farance discovered questionable actions taken in private by a person or persons inside RIOC regarding the bid process. Score sheets tampered with in a way that created the tie were found in a Freedom of Information request. We don't know who was responsible for changing the score sheets, but what we do know is that RIOC never provided any explanation. A scenario suggesting bid rigging was not outlandish by any means. But RIOC simply pretended nothing happened, and the Cuomo controlled Albany machine played along. No one, not our elected officials or anyone else in authority, lifted a finger to get at the truth. As a result, we don't know whether Farance's accusations are true of not. 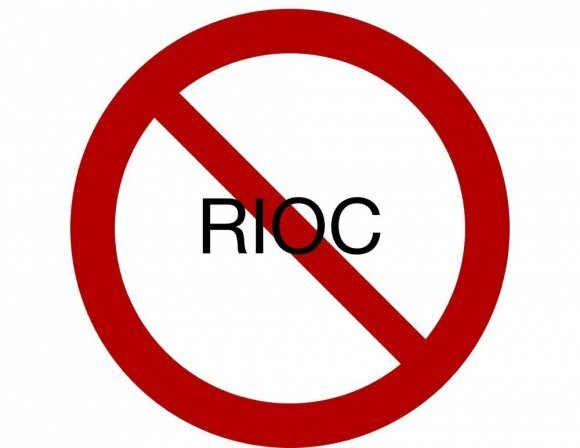 RIOC simply lacks the responsibility to openly address community concerns. Maybe they have something to hide. Maybe they don't. But how will we ever know? It took the better part of a year for RIOC to set up another bid, but by then, it wasn't an RFP at all. Money supplied to run the Youth Center was now a "grant," not a contract award. DeFino and his Youth Program were required to show their worthiness for continuing to receive their longstanding grant. RIYP again won the bidding. But as soon as word got out - but before an award could be made - PS/IS 217 PTA President Erin Olavesen announced on the RI Parents' Network, a Google Group, an initiative to undermine the award by raising stink with RIOC. Olavesen had earlier worked with Principal Mandana Beckman to remove RIYP from the PS/IS 217 Beacon after school program, denying the group a chance to even bid on the contract after being the originator of getting funds for the school and its only provider. Beckman gave no reason for rejecting the Youth Program, although DeFino believes her decision was driven by his refusal to divert money to teacher training, insisting that all funds go directly to children's activities. Letter writing campaigns began for both sides with emails to RIOC in support of RIYP running 2 to 1 in over the PTA group's. Similarly, when the award came up for Board approval, before a room full of supporters, more than twice as many speakers stepped to the podium to ask RIOC to okay the grant for RIYP. Unlike the Youth Program's speakers, none of the PTA's were children who used the Center. But in what appeared to be a planned tactic, RIOC's invertebrate Board Chair Alex Valella, over protests of Board Members and frustrated residents, abruptly adjourned the meeting without a vote, racing for the exit so quickly he might've left his spine behind, if he had one. Valella claimed to be horrified by what he heard, although what he heard, had he any interest in listening, was a monumental surge of support for Charlie DeFino and the Youth Program. Within 24 hours, Rosenthal announced that RIOC had recruited a Syracuse headquartered law firm with ties to the Cuomo administration to look into charges against DeFino. In short, it was no longer about qualifications for operating the Youth Center. RIYP had already won that battle. It was all about destroying Charlie DeFino's public reputation. And wasn't it convenient that RIOC had a law firm they could sign up on a Friday afternoon and raring to go on Monday? Of course, RIOC got what they wanted. The law firm came up with a handful of dubious, weakly supported charges against DeFino who'd been at the job for most of 22 years. Anyone with half a brain could find a handful of detractors or malcontents. After hearing the evidence against DeFino, each with decades of Island residency, the majority of public Board Members - David Kraut, Margie Smith and Howard Polivy - voted in favor of granting the award to the Youth Program. A minority - Fay Christian and Michael Shinozaki - were opposed. Broad, enthusiastic support for RIYP was recognized. But Cuomo's surrogates, the two ex officio Board Members, rejected community sentiment, deciding, it seems, that they knew better than experienced residents what's good for us. Charlie DeFino has been advised not even to try looking for a new job. An online search tells potential employers, on Page One, above the fold, that he's "Under Investigation," according to a misleading Main Street WIRE headline suggesting criminal implications. And RIOC's taken over a badly downgraded program, having hired several of DeFino's former employees, who now voice frustration over trying to deal with uninvested bureaucrats. Efforts by RIOC Vice President Jacqueline Flug to recruit PS/IS 217's Beacon provider failed so far because, reportedly, the Queens group is reluctant to get involved in circumstances where RIOC's mishandling raised such outrage. Because RIOC's actions have done so much damage, hurting children in the march to destroy Charlie DeFino and the Youth Program, investigations are continuing into who, what and why this happened. Whether anyone gets to the bottom of it or not, the onus will always be on RIOC for crushing a valuable Roosevelt Island institution. Governor Cuomo's unqualified appointees and surrogates instigated and managed the whole process, front to back. And it's one more reason why RIOC must go. It can't be fixed.